Although Diastasis Recti is often considered only an issue with prenatal and postpartum women, it is commonly seen in men with ongoing Functional Core Weakness and muscle imbalance. 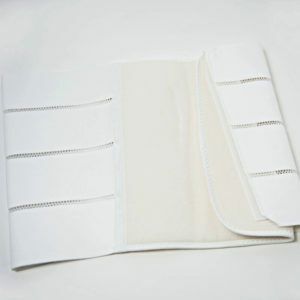 The core consists of three layers of muscle. 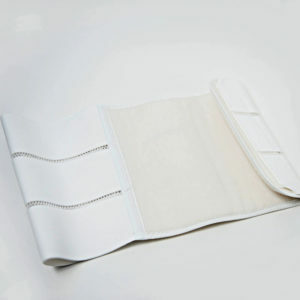 The internal-most is your transverse abdominis which functions like a natural corset – designed to elongate the torso and balance the entire body. Typically, men with Diastasis Recti have over-developed external core muscles (the recti and obliques) and a neglected internal abdominal muscle (transverse abdominis). Over time, this lack of strength or stability forces your body to recruit other muscles to function. We call this a compensation pattern. (Learn more about the function of the transverse muscle). Typical compensation patterns in men are holding your breath, tensing when straining, bracing the muscles and recruiting upper and lower body muscles to stabilize the core. 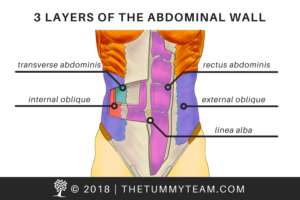 All of these strategies actually push out on the abdominal wall (even slightly) instead of drawing in and elongating the core. 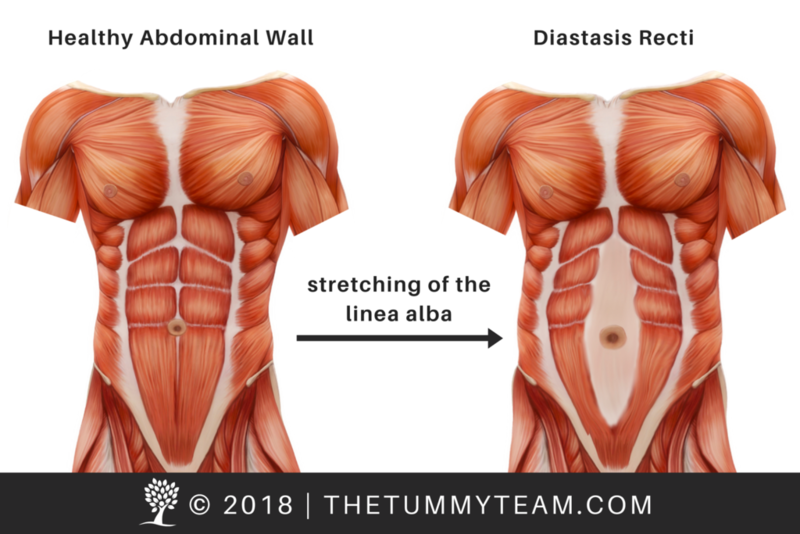 Over time, this habitual outward pressure makes the connective tissue of your abdominal wall (the linea alba) stretch, causing that midline separation known as Diastasis Recti. Both Functional Core Weakness and Diastasis Recti are treated the same way. Unlike what most people are told, diastasis recti does not require surgery and can be corrected with functional core rehabilitation. Our Functional Core Rehabilitation will strengthen the core, minimize movements making it worse, reconnect you to your body, close the separation, flatten your belly, relieve back pain and other symptoms, as well as retrain your body mechanics, posture, and alignment for long-term success.